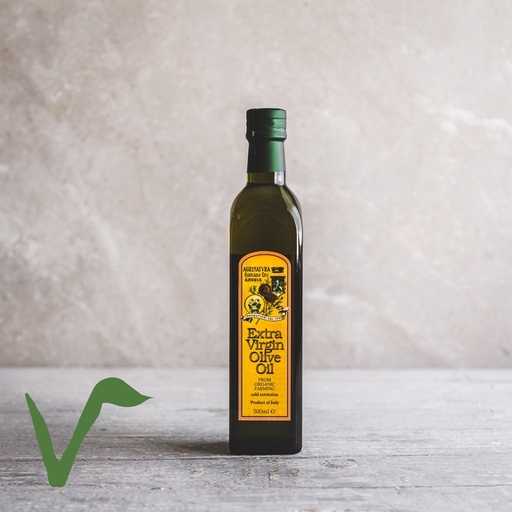 Organic Italian extra virgin fruttato olive oil. A rich, fruity oil made with cold-pressed green olives picked just before maturity. Full-bodied and peppery. It’s our top pick for an everyday oil. Use in cooking, as a sumptuous dip for fresh bread, or trickle over hearty bean soups, grilled sardines and pizzas for an extra burst of richness.